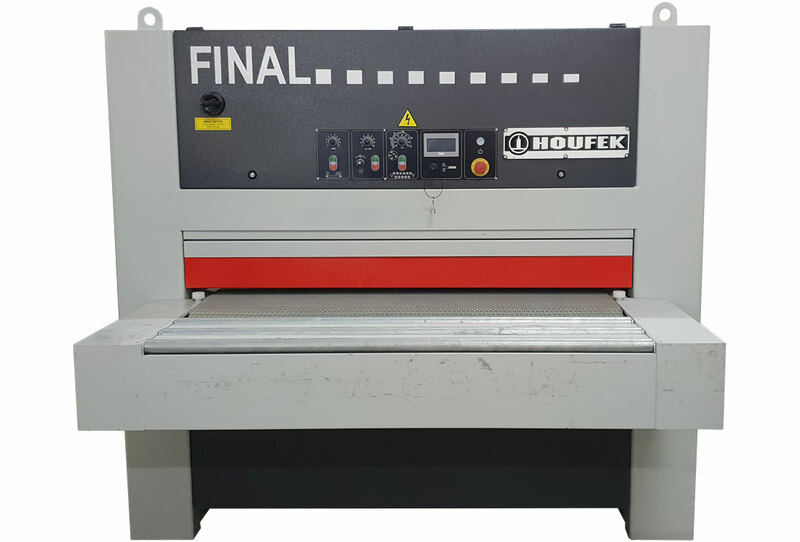 The Houfek Final D is a highly efficient brush sanding machine ideal for preparation sanding and intermediate denibbing between finishing coats of paint and lacquer. 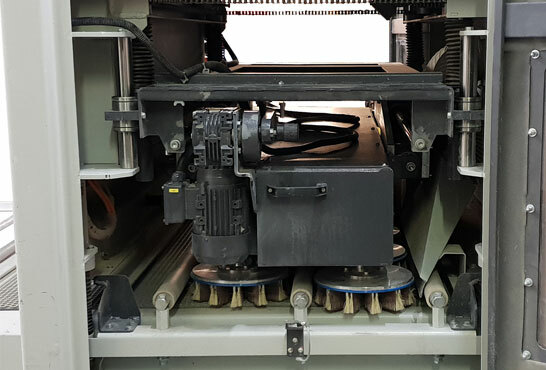 Using disc sanding technology, sometimes refered to as cup brush sanding, the FINAL D is capable of sanding/denibbing piece parts prior to assembly,linear mouldings, five piece doors, window sashes and frames, etc. Great for processing GRP, MDF, plywood, solid wood, veneer, paint and lacquer. One disc sanding brush station, also known as a cup sander. Quick change sanding strips to all sanding units. Forward/reverse direction to all sanding units - sand and denib on one machine. Variable speed disc(cup) brush (D). Long life time of consumables. Preparation sand prior to foil wrapping. Save time, labour, materials and money. 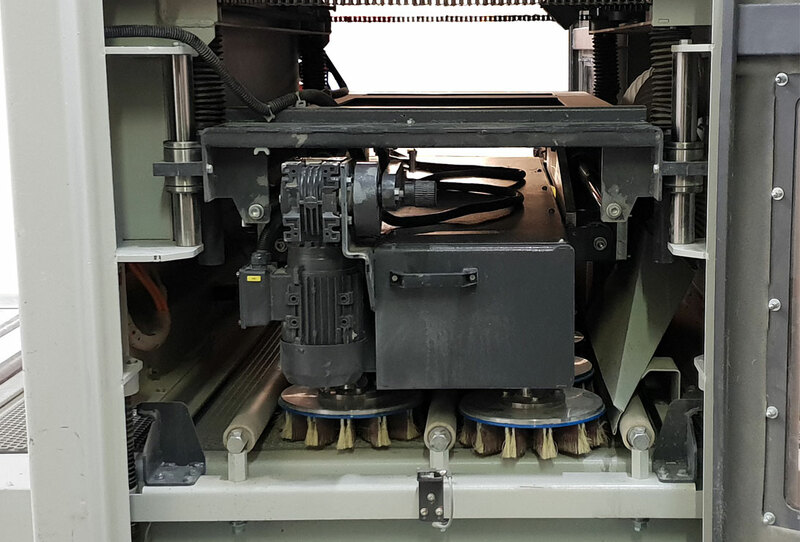 Variable feed belt speed 3-12 m/min. 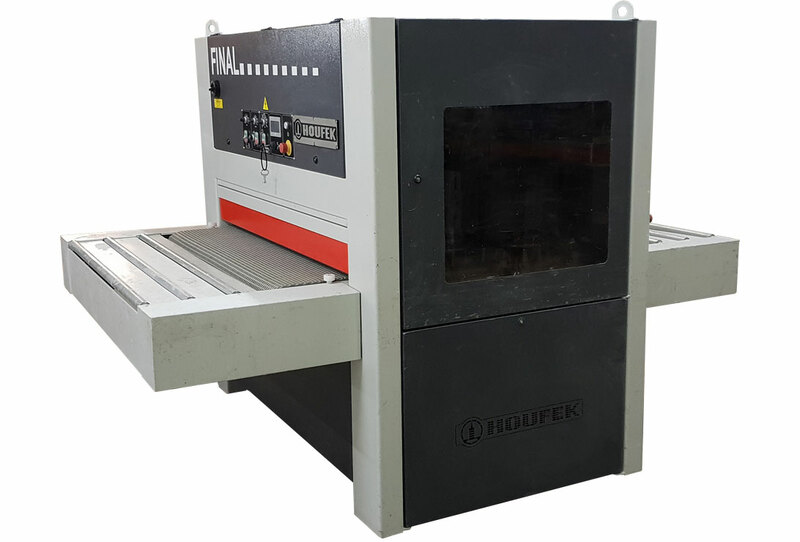 Maximum work piece height: 100mm. Disc (cup) brush (D) forward/reverse. Disc (cup) brush (D) oscillation. Disc (cup) brush (D) variable speed 50-300rpm. Including first set of abrasives. Get a perfect finish with a disc (cup) sander. *This video is for the 2018 version of the FINAL D. The used FINAL D has cosmetic differences.